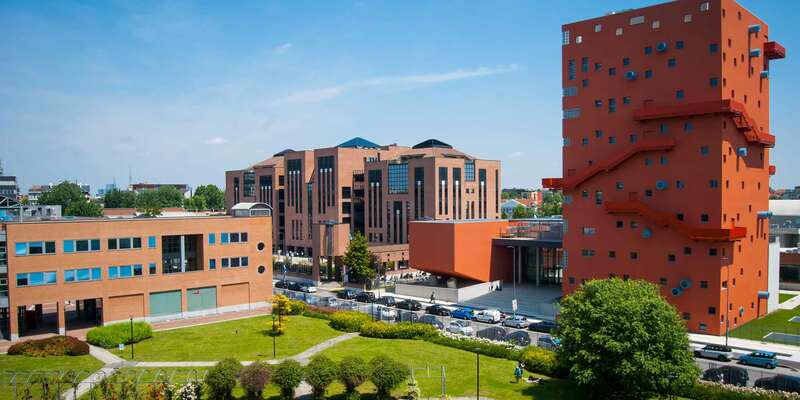 IULM, also known as the Independent University of Languages and Communication, is a private institution founded in Milan in 1968. Its teaching programs include undergraduate and masters in foreign languages, institutional and corporate communication, theory and communication technologies, journalism, tourism sciences, and the promotion of cultural heritage and events. The main building, in Via Carlo Bo, is the central core of the university. Around this building, in recent years, a number of new facilities were born: a garden and six new buildings with classrooms, research departments, libraries, auditoriums, restaurant services and residences for students, modelled after great American campuses. Thanks to its international vocation and attention to culture and business training, IULM is a magnet for students from all over the world. Take either bus line 47 or 74, from Via Ponti-Piazza Bilbao towards Piazzale Cantore, for 2 stops and get off at the Viale Cassala stop. Estimated time: about 10 minutes.